A week in 3 days! Up and down the Thruway and more coming next week as we return to room 229 for two more action-packed days of fun with a new crop of teachers, hungry to offer their students something more, something else, something that what will engage them as they continue to tackle the challenges of writing. But first things first. First they have to write like a the writers they are and some are just learning that. We have been pounding the pavement as a writing project for 15 years with our leadership team in tact from its beginnings and continually growing, expanding as new cohorts- 15??? join us. Seems like just when times were the toughest we took off. Just when the NWP’s federal funding dried up without Obama’s support, we took up the challenge and took time to build our Young Writers’ Camp, our pd work in schools. Our new Year-long Institute sprouted wings this year as did our mini-institute, our Open attracted a full house with standing room only. So Thursday, as we ended our 3-day week, Kristen and I sent our group of 15 strong, off to write, to revise, to play with tech tools, to wonder and return to us on Monday with a revised writing piece to share in their writing groups, to be gingerly handled and prepared for our celebratory reading. We end our Open just like we end all of our writing event- with a celebration of writing complete with refreshments. 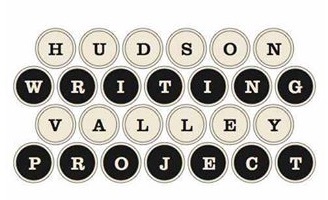 So glad to be part of the Hudson Valley Writing Project!!!! This entry was posted in HVWP Open Institute 2015 and tagged #open institute, HVWP. Bookmark the permalink.